The enthusiasm about the ADAO conference is contagious! 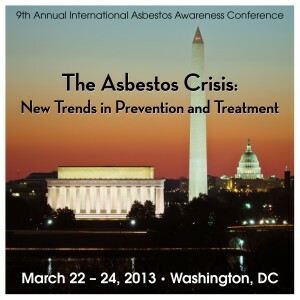 More than 30 renowned experts and asbestos victims from five countries will present the latest advancements in disease prevention, global advocacy, and treatment for mesothelioma and other asbestos-caused diseases. Be sure to register by March 1! ADAO is deeply grateful to our leadership, volunteers, and conference speakers, who are committed to making this year’s conference the best yet. ADAO also thanks the organizations that have already committed to be 2013 Official Sponsors, especially our Platinum Sponsors, Baron & Budd, Motley Rice, and the Simmons Law Firm. *New this year, ADAO will offer need-based scholarships to a limited number of patients and families to cover the cost of conference registration (which does not include travel and lodging costs). 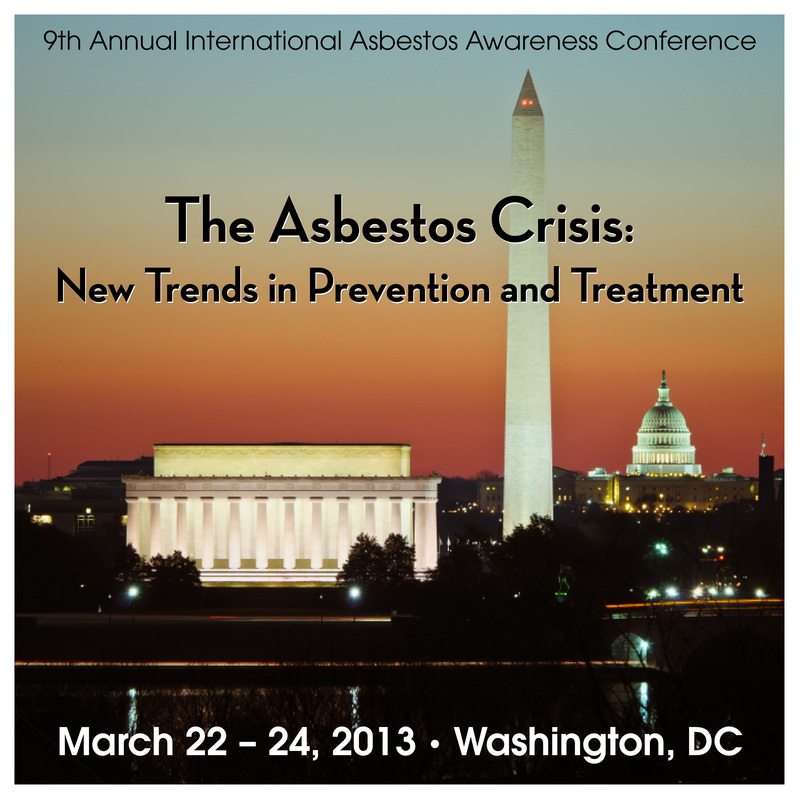 If interested in the scholarships, please e-mail 2013AAC@asbestosdiseaseawareness.org. NOTE: We have a limited number of highly discounted hotel rooms ($119 plus tax) for conference registrants only. To receive the discount, book your room online (click here) or via phone (703-413-5500) and tell them that your group code is ADAADAA. Reserve your room soon before all of the discounted rooms are taken! U.S. Representative Lois Capps will be presented with the Tribute of Hope Award for her steadfast commitment to public health and safety.  Dr. Celeste Monforton will be recognized with the Dr. Irving Selikoff Lifetime Achievement Award in honor of her tireless dedication to increasing awareness about asbestos to eliminate diseases and her unending support of the Asbestos Disease Awareness Organization. Karen Banton will be presented with the Tribute of Inspiration Award for her untiring efforts to protect workers’ rights and seek justice for asbestos sufferers and their families. The International Association of Heat and Frost Insulators and Allied Workers will receive the Tribute of Unity Award for its relentless efforts, both nationally and internationally, to protect workers’ occupational safety and health. Rob Cagle, who tragically lost his battle with mesothelioma in 2011, will be recognized with the Alan Reinstein Award for his commitment to education, advocacy, and support to countless patients and families. Jordan Zevon, ADAO National Spokesperson, will be honored for his tireless dedication to ADAO.